Fortnite Battle Royale is a survival type of game where the player plays against each other and the last one who remains will win the game. Recently an Android version of the same game was launched and many are surprised that it was not available on Google Play, instead it’s available on Epic’s official page. Furthermore, the supported mobile devices are also limited making it only available for Google Pixel, Asus ROG, Huawei Honor series, Mate series, and Pro series, LG G5, G6, Samsung S series, etc. 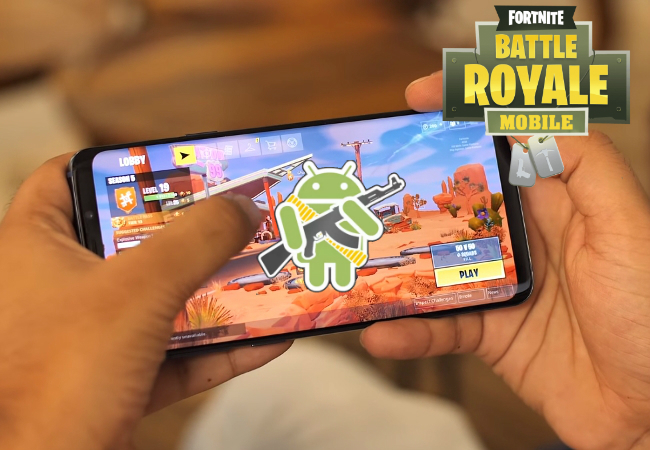 In case your device can’t handle Fortnite, you can still enjoy other games like Fortnite for Android. To know the best battle royale game alternative for your device, you can refer to the rest of this post. A pioneering game in a battle royale genre is PlayerUnknown’s Battleground or commonly known as PUBG. This game was released first before Fortnite enters the gaming scene. 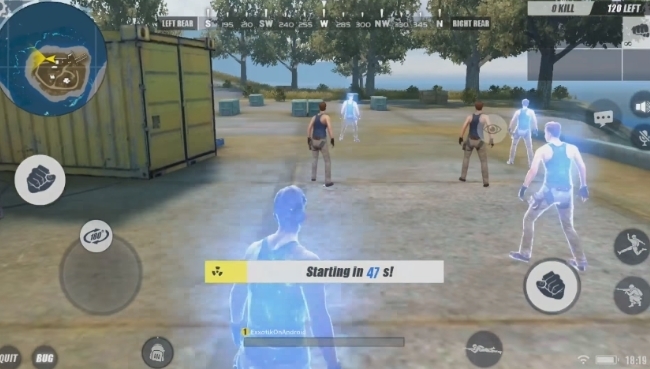 PUBG was initially made for PC, but since its popularity spikes up, its makers decide to create a mobile version as well. Just like Fortnite, this game’s primary objective is to win over 100 players in an open field. The game also has a bigger map that you’ll need to get in a vehicle to roam around, and the characters wear more realistic gear almost similar to that of Call of Duty. You will also land in a certain area naked and need to collect clothes and weapons as you walk around. 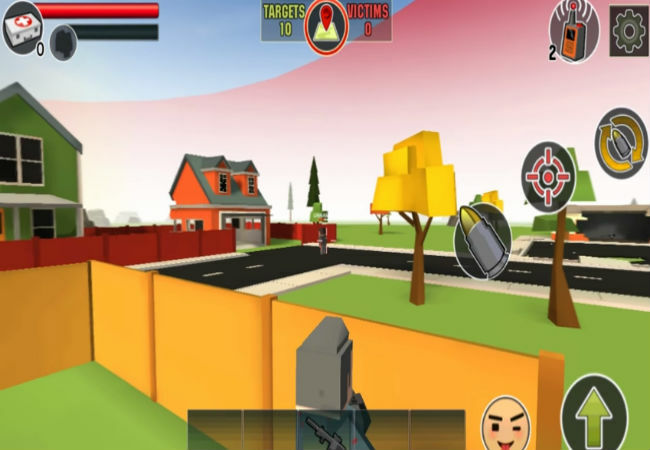 It’s a great battle royale game that you’ll surely enjoy on your Android phone. Although there is no option to record PUBG games, hope its creator can add it up on their next update. 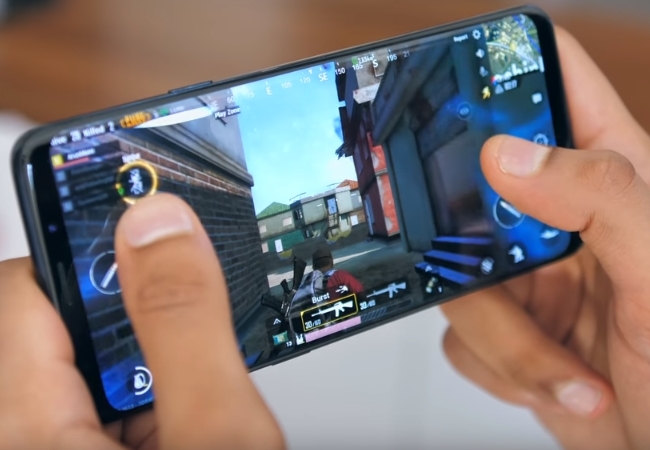 The next game on our list is ROS or Rules of Survival. 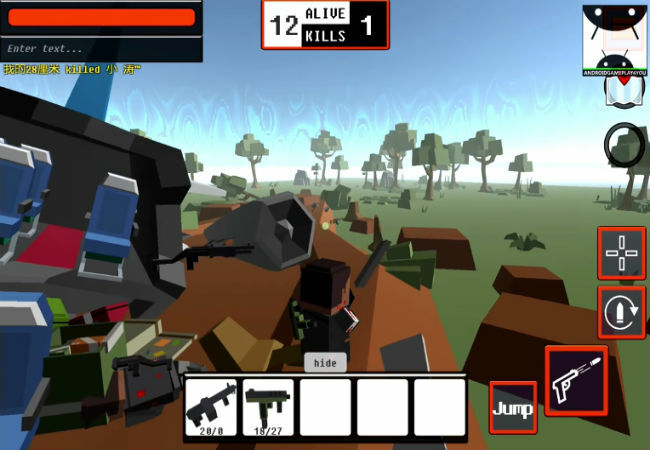 This game was intended for all mobile phone users, and its success triggered other battle royale games for PC to create their mobile version as well. With numerous servers across the globe, it is surely one of the most popular battle royale games nowadays. Just like the previous games that we discuss, this game’s main goal is to go up against other users kill all of them until you are the only one left. Users can gain some achievements through the course of their gameplay, which makes it more exciting. However, the game’s controls are not that responsive and it will take time till you get used to it. To enjoy more, it is advisable to get an external gaming buttons to make the character more responsive. Overall, it’s a fun game and is worth giving it a try. If you’re looking for more mobile games like Fortnite, then Grand Battle Royale is another great game that you check for your Android device. You would instantly appreciate this game if you’re a Minecraft fanatic, since the game somewhat looks like a fusion between PUBG and Minecraft. With that being said, expect everything you see to be pixilated. Having the same battle royale rules, you need to knock off all of your opponents to be the victor of the game. It’s indeed a cool game to play, but if you are particular with the graphics or you want a smoother near to reality graphic and settings, then you might not appreciate the pixilated characters that this game has. 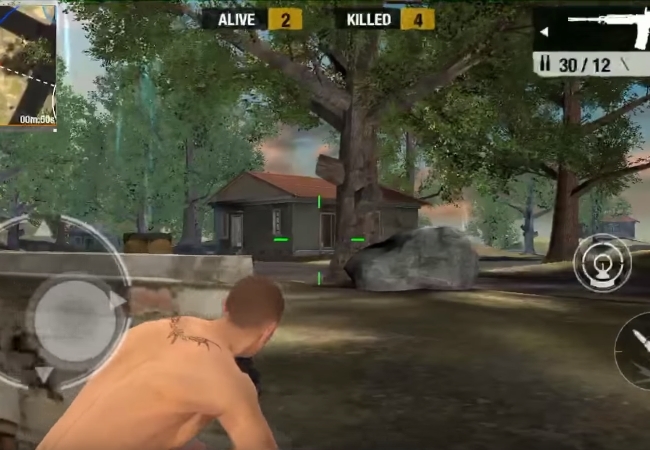 Another battle royale game for Android is Bullet Strike: Battlegrounds. Just like the previous games above, this game provides the same battle royale experience with a setting or character that looks more realistic. Unlike Fortnite that wears fancy costumes, Bullet Strike provides a more macho appearance and some alteration with the overall settings. But the main point of the game is still the same, go battle with all the players that you see till you finish all of them and win. There are some players that will think this game as a replica of PUBG, yet it has its own identity that you can notice upon playing the game. From the name itself, it’s obvious that it’s a battle royale game that is mixed with pixelated characters that we usually see on Minecraft games. Even though it looks like a Grand Battle Royale ripped off, it still has its own distinct setup and how the game runs. Moreover, PIXEL’S UNKNOWN BATTLEGROUND puts more details in spite of being pixelated, from the helicopter to buildings and other structures. When it comes to battling, the royale rumble was still there, a player needs to shoot all of the other players to remain alive and win the game. So whenever you want to jump into the battle royale bandwagon, here’s a game that you can get straight into your Android phone. Those are the top 5 games like Fortnite on Android that you can play anytime you want an exciting battle royale experience. Their main objective is just the same, which is to do your best to survive and remain alive after battling hundreds of opponents. But to appreciate them well, it’s better to try them one by one. Have you played any battle royale games on your Android phone? Kindly drop them below along with the experience of it. Rating: 4.8 / 5 (based on 44 ratings) Thanks for your rating!